At a given moment, you will notice any signs that indicate it is the right time to consider having your HVAC unit repaired. As soon as you become aware of this things, all you have to do is get in touch with your air duct contractor. Specialists, such as those in Air Duct Cleaning Porter Ranch always know how to handle problems efficiently in a short time. In order to avoid being taken by surprise, here you will find any malfunctions that can occur in the long run. 1. First of all, in the event of an air conditioner that is more than 10 years old, you should start thinking about its repair. You must take into account the fact that a worn-out HVAC system will stop working properly at some point. Hence, any of your rooms may be excessively heated or cooled. This problem will result in uncomfortable living environment. 2. To go further, if your HVAC unit has been malfunctioning for a while, it is the right time to ask for a repair. A faulty system stops being energy-efficient. As a result, your energy bills will face a significant increase and, afterwards, you will not be able to save some money. 3. Whenever you detect any holes in your air duct system, have this problem solved as soon as possible. Leaking ducts allow germs, dust and dirt to enter your home. Therefore, this leads to your indoor air contamination and, what is more, can provoke various diseases which can show up sooner or later. 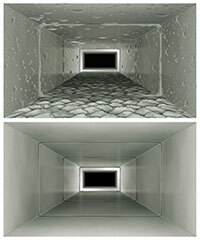 In order to avoid further technical issues, a monthly inspection of your air duct system is recommended. 4. Another sign is represented by a noisy heating and cooling system. In that event, this problem may be caused by the indoor coil of your cooling equipment or by a dirty air filter that requires an urgent cleaning.